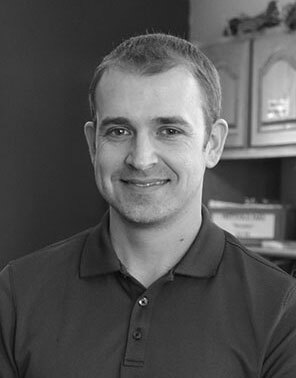 Dr. Christopher Larson, Doctor of Chiropractic and Certified Acupuncturist, graduated from Northwestern Health Sciences University of Bloomington, MN in 2011. After graduation he moved to Alexandria and took over care and management of the Alexandria Natural Health Center and the Hoffman Chiropractic Clinic. Dr. Larson is originally from Herman, MN where he went to high school and graduated in 2001. He spent his undergraduate years at North Dakota State University where he earned his Bachelor's of Science in Psychology with a minor in Biology. He is currently an active member in the Runestone chapter of BNI and of the Independent Order of Odd Fellows. Dr. Larson’s passion has always been to work within the health care field in hopes of being given the opportunity to help and educate people. He is a firm believer that healthcare must be more than just a cookie cutter approach mainstream medicine has adopted. He believes that each case or person must be dealt with as a separate and unique case, where treatments are specialized to their needs and education on health, diet, and wellness provided to the masses in order to prevent future suffering of not only the individual, but generations down the line. Many traits can be passed down through offspring on the genetic level, but so too can behaviors and habits be passed down by example and learning. Luana started working at Alexandria Natural Health Center in October of 2013 as a receptionist/medical administrative assistant. She has lived in Alexandria since 1995 working at various companies doing clerical and customer service work. In 2009 she went back to school and received her CNA (Certified Nursing Assistant) certificate and her TMA (Trained Medication Aide) certificate, which is what made her want to work in the medical field as a medical administrative assistant. She enjoys working with and helping people every day. Luana is a real people person which makes her job as receptionist/medical administrative assistant very easy for her. She likes the daily contact with the patients and clients at Alexandria Natural Health Center. Luana’s motto is to treat people the way that she would like to be treated. Attended Globe University in Sioux Falls SD. While at Globe, she received her Associates Degree in Massage Therapy. She is an MT who has been doing massage for 6 years. Kayla excels in Full Body Hot Stone, Craniosacral/Lymph Drainage, Relaxation, Swedish and Chair massages. MT from MN State Technical Community College of Wadena, MN. Offers deep tissue, therapeutic, Swedish, relaxation, hot stone, pregnancy and geriatric massages. She specializes in chronic pain, sciatic nerve entrapment, fibro myalgia, arthritis, headache/migraine and back pain relief. Audrey also utilizes essential oils by request. Sarah is a Certified Massage Therapist from MN State Technical Community College of Wadena, MN. She offers deep tissue, therapeutic, Swedish, relaxation, hot stone, pregnancy and geriatric massage. She specializes in deep tissue, tension release, pain and headache relief. She also utilizes essential oils in her massages. Sarah is also a Licensed Practical Nurse.